Pathfinder Society at Red Raccoon Games meets on the 1st and 3rd Saturdays of each month. All organizing is done through their WarHorn page at: https://warhorn.net/events/bnpfs. Please go to that link for more information and to RSVP for sessions. 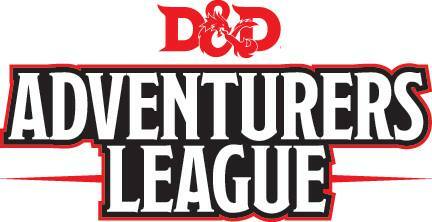 Wecome to the Bloomington-Normal Pathfinder & Starfinder Society! 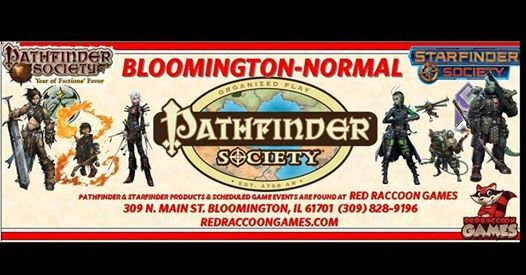 We meet on the first and third Saturdays of every month at Red Raccoon Games in Downtown Bloomington for some Pathfinder and Starfinder Society Roleplaying Guild games. 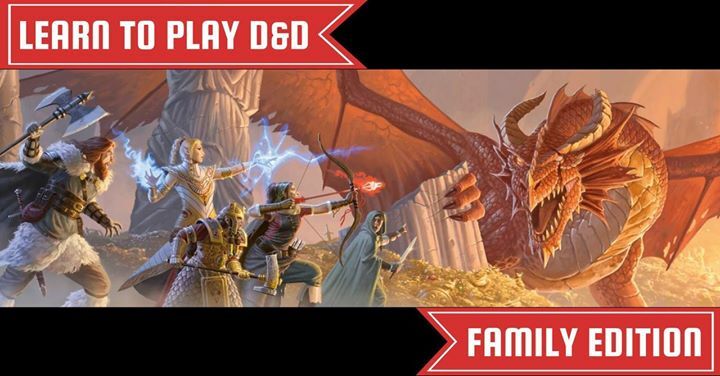 Unless otherwise noted, Society game days are part of the Paizo Regional Support Program. If you see a game that you want to play, and it’s full, please feel free to sign up on the waitlist. If a previous player drops out, you will automatically get moved up in the sign-up order. If you’re looking to GM a game or two, please send me an email at [email protected], and let me know what you want to run. I’d be more than happy to work with you to get you on the schedule. Starting November 4, 2017, Society events at Red Raccoon Games are pay-to-play: single slot games are $2.50 and all day/double slot games are $5.00. Due to the pay-to-play format, all GM sign ups must be approved by the Venture Agent to ensure fair access among the volunteers.